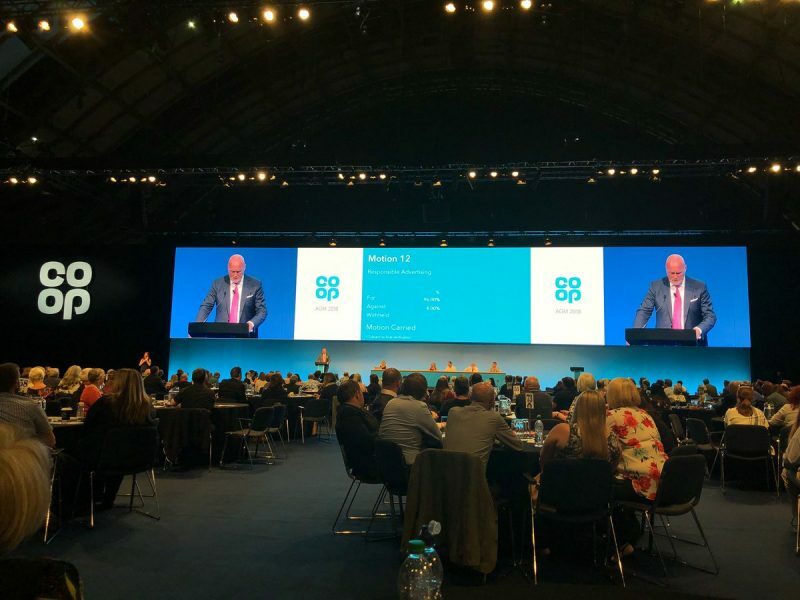 The Co-op Group Annual General Meeting has voted overwhelmingly in favour of a motion on ethical advertising, with a stunning 96% of members backing Stop Funding Hate. The motion was proposed by Colin Baines, a former ethics adviser and campaigns manager for the Co-op Group, and a non-executive director of the Stop Funding Hate campaign, with the support of 200 other Co-op members. Stop Funding Hate is a consumer campaign that calls on companies to incorporate advertising into corporate social responsibility commitments. It has targeted advertisers in the Daily Mail, The Sun and Daily Express, citing specific criticism by the United Nations. A YouGov poll commissioned by Stop Funding Hate in December 2017 found 58% of the public believe ‘companies should withdraw their advertising if it is placed next to content they think is racist, sexist, homophobic or xenophobic.’ 21% disagreed. Conservative peer Baroness Warsi, has also given her support, in a video for Stop Funding Hate saying “Campaigns like Stop Funding Hate are absolutely essential, the public has a right to vote with their feet and their money. As a Conservative, as someone who believes in the free market, I think it is a very centre right position to say the market should respond to this hatred by saying we find this unacceptable”.